2 Danses by Jean-Michel Defaye. For trombone and piano. Published by Alphonse Leduc (AL21403). Defate (1932) is a French composer. 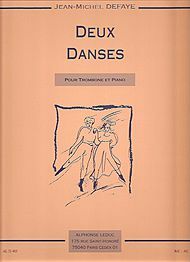 Deux Danses for trombone and piano was composed in 1950. “Danse Sacree” is a slow, rubato melody that turns into a forward moving gesture becoming a theme and variations of sort until the first powerful cadenza. 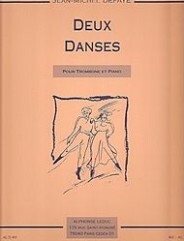 – 2 Danses by Jean-Michel Defaye. For trombone and piano. Published by Alphonse Leduc (AL21403).